LOS ANGELES, CALIF - Walt Disney yesterday brought something besides talk into the Madison-Square-Garden of the west picture, when he signed a $3,500,000 lease for a 34-acre Hancock Park site. 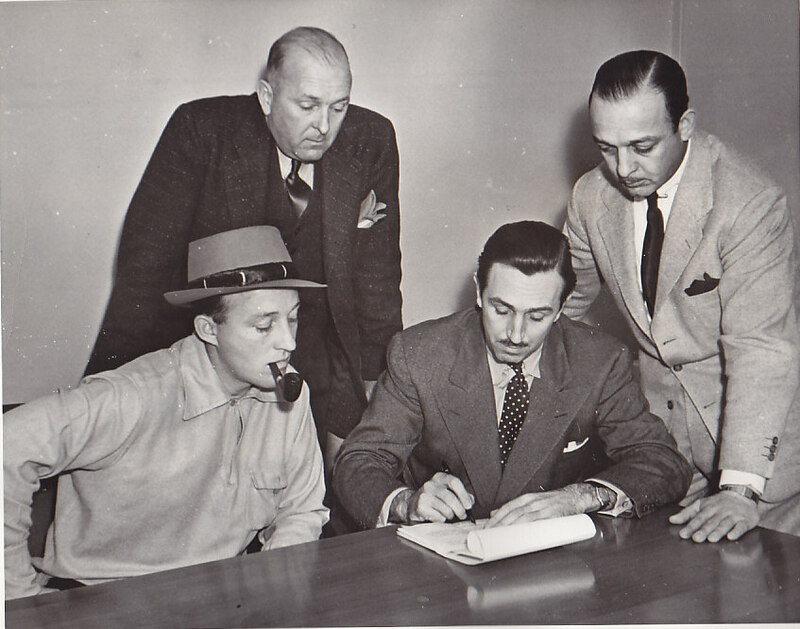 Disney represented the Hollywood Sports Gardens as president in completing a 50 year contract lease for most of the property which the arena will be built on. PHOTO SHOWS: (left to right seated) Bing Crosby and Walt Disney. Standing left to right - attorney Richard Bailey and Everett Crosby. Does anybody know anything about this project or whether or not it ever happened? I'd imagine it may have been related to Walt's polo activities. Bing Crosby was known for breeding and racing horses. Applause of a nation was bestowed last night on Walt Disney, originator of Mickey Mouse and other delightful characters, which have flashed across screens throughout the world. The occasion was the presentation of the National Distinguished Service Award of the U.S. Junior Chamber of Commerce at a banquet at the Hollywood Roosevelt Hotel. 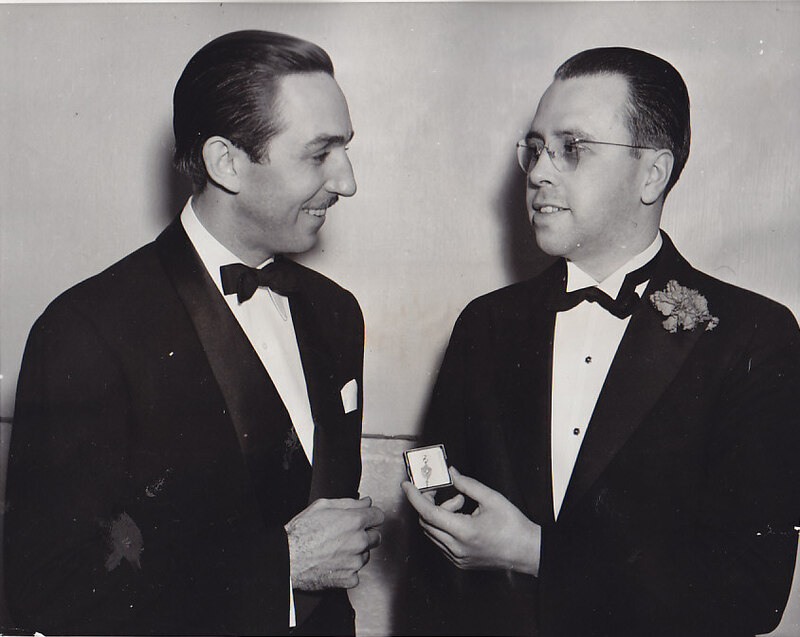 Photo shows Walt Disney and Walter E. Holman who mad the presentation.